Since 1 January 2018, Apetit has reported its first (Q1) and third (Q3) quarter results as Business Reviews. The Half-year Financial Report (Q2) and Financial Statements Bulletin (Q4) provide more extensive reporting and contain segment information. July–September 2018 Net sales amounted to EUR 76.6 (74.4) million Operational EBITDA was EUR 3.1 (3.0) million Operational EBIT was EUR 1.7 (1.6) million January–September 2018 Net sales amounted to EUR 209.1 (225.3) million Operational EBITDA was EUR 3.2 (4.2) million Operational EBIT was EUR -1.1 (0.1) million The information is unaudited. The figures in parentheses are the equivalent figures for continuing operations for the same period in 2017, and the comparison period means the corresponding period in the previous year, unless otherwise stated. Juha Vanhainen, CEO: “Apetit seeks to lead the way in vegetable-based diets. Renewal, one of our strategic focuses, means a continuous stream of new products that interest consumers. This autumn, Apetit again introduced several new, tasty products that enable consumers to increase their consumption of vegetables and make responsible choices. We brought Finnish fish cakes made from fish caught from a lake as part of fish-stock management to the frozen food sections of retail shops. A vegan version was added to our family of spinach soup products, and a new vegetable mince product was added to our pizza selection. We also included new products in our selection for kids and new vegetable mixes in our Tuorekset product family. The Group’s net sales increased slightly due to a significant increase in the world market prices of grains. The two most recent harvest seasons have been very exceptional, and the Finnish grain crop in 2018 will be the weakest since 2000. The hot and dry summer also had a negative effect on the Finnish vegetable harvest. Food Solutions’ result continued to develop favourably due to the increased sales of not only frozen foods, but also fresh products, as well as adjustment and efficiency measures. Oilseed Products’ result remained at the comparison period’s level. Grain Trade’s profitability decreased significantly from the comparison period, due to the second consecutive weak grain crop and its effects on trading opportunities. I’m very pleased with the fact that Food Solutions’ improved performance during this quarter offset the decrease in Grain Trade’s result. The Group’s strategic focus areas are renewal, efficiency improvement and international operations. Our work to improve profitability and create future growth, even outside Finland, continues within the Group.” KEY FIGURES EUR million 7-9 2018 7-9 2017 Change 1-9 2018 1-9 2017 Change 2017 CONTINUING OPERATIONS, KEY FIGURES Net sales 76.6 74.4 3% 209.1 225.3 -7% 311.8 Operational EBITDA 3.1 3.0 3.2 4.2 6.8 Operational EBIT 1.7 1.6 -1.1 0.1 1.3 Operating profit 1.5 1.6 -2.6 -0.1 1.1 Share of profit of associated company Sucros -0.1 0.1 -1.0 -0.4 1.0 Profit for the period 1.1 2.6 -3.4 0.5 2.9 Earnings per share, EUR 0.17 0.42 -0.55 0.09 0.46 Working capital, at end of period 49.1 39.5 30.0 Investment 2.6 3.7 5.2 GROUP, KEY FIGURES incl. discontinued operations during comparison period, Seafood Equity per share, EUR 16.73 17.75 18.10 Return on capital employed R12 (ROCE), % 0.5% 2.5% 2.4% Net cash flow from operating activities -18.7 12.2 20.0 Equity ratio 63.6% 62,6% 72.6% Gearing 12.3% 8.8% -9.6% FINANCIAL PERFORMANCE IN JULY–SEPTEMBER Comparable net sales increased by 3 per cent to EUR 76.6 (74.4) million. Food Solutions’ net sales increased in frozen foods and slightly in fresh products. Grain Trade’s net sales improved due to a significant increase in the world market prices of grains. Oilseed Products’ net sales remained at the comparison period’s level. Operational EBIT was EUR 1.7 (1.6) million. Food Solutions’ result improved as a result of good sales in frozen foods and fresh products, as well as adjustment and efficiency measures. Grain Trade’s profitability has decreased as a result of the weak crops of 2017 and 2018. Oilseed Products’ profitability remained at the comparison period’s level. In the comparison period, an item of EUR 1.3 million related to taxes recognised as a result of the divestment of the seafood business had a positive effect on the result. FINANCIAL PERFORMANCE IN JANUARY–SEPTEMBER Comparable net sales declined by 7 per cent to EUR 209.1 (225.3) million. Food Solutions’ net sales remained at the comparison period’s level. Sales increased in frozen foods and fresh products in all sales channels. Net sales from service sales decreased due to the reduction of the sales network. Grain Trade’s net sales decreased year-on-year. Oilseed Products’ net sales remained at the comparison period’s level. Operational EBIT was EUR -1.1 (0.1) million. Food Solutions and Oilseed Products improved their results slightly from the comparison period. In Grain Trade, profitability decreased significantly, mainly due to weak harvest seasons. The Group’s liquidity was good, and its financial position is strong. The equity ratio was 63.6 (62.6) per cent, and gearing was 12.3 (8.8) per cent. Consolidated cash flow from operating activities after interest and taxes amounted to EUR -18.7 (12.2) million in January–September, due to an increase in grain stocks and a significant increase in the world market prices of grains. SEASONALITY OF OPERATIONS In accordance with the IAS 2 standard, the historical cost of inventories includes a systematically allocated portion of the fixed production overheads. With production focusing on harvest time, raw materials are mainly processed into finished products during the third and fourth quarters of the year. This means that more fixed production overheads are recognised on the balance sheet in the third and fourth quarters than during the other quarters of the year. Due to this accounting practice, most of the Group’s annual profit is accrued in the third and fourth quarters. The seasonal nature of profit accumulation is most marked in the frozen foods group of the Food Solutions segment and in the associated company Sucros, where crop-season production focuses on the fourth quarter. PROFIT GUIDANCE FOR 2018 UNCHANGED The Group’s full-year operational EBIT from continuing operations is expected to decrease from the comparison period (2017: EUR 1.3 million). Due to the seasonal nature of the Group’s operations, most of the annual profit is accrued in the second half of the year. Sales volumes and the profit outlook for 2018 are burdened by the weak harvest of 2017 and the poor harvest outlook for 2018. Apetit Plc For further information, please contact: Juha Vanhainen, CEO, tel. +358 10 402 00 Attachment: Apetit Plc business review 1 january-30 september 2018 &nbsp; Apetit is number one in vegetables. It is a food industry company firmly rooted in Finnish primary production. We create well-being with vegetables by offering healthy and tasty food solutions that make daily life easier. We also produce high-quality vegetable oils and rapeseed expellers for feeding stuff, and trade grain on the international markets. Apetit seeks to lead the way in vegetable-based food solutions. Apetit Plc’s shares are listed on Nasdaq Helsinki. In 2017, the company’s net sales were EUR 312 million and it had an average 557 employees. Read more at www.apetitgroup.fi. This release is a summary of Apetit’s Half-Year Financial Report for the January-June period of 2018. The complete report is attached to this release as a pdf file and it is also available on the company’s website at apetitgroup.fi/for-investors. April–June, continuing operations* Net sales from continuing operations were EUR 72.8 (76.8) million Operational EBITDA was EUR 0.1 (0.8) million Operational EBIT was EUR -1.4 (-0.5) million January–June, continuing operations* Net sales from continuing operations were EUR 132.5 (150.8) million Operational EBITDA was EUR 0.1 (1.2) million Operational EBIT was EUR -2.8 (-1.5) million Key events during the period Apetit invests EUR 9.7 million in a new patty and ball production line in Säkylä. 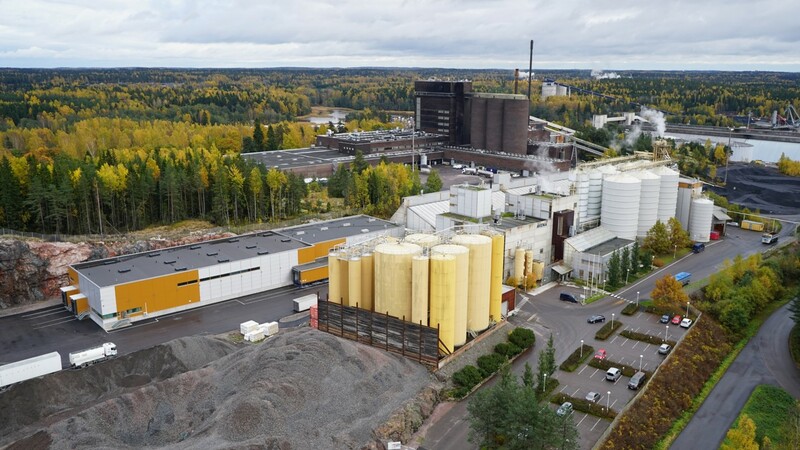 Apetit invests EUR 3.7 million in the construction of a bioenergy plant in conjunction with the Avena Kantvik Oy rapeseed oil milling plant in Kirkkonummi. Avena Nordic Grain Oy and Viljelijän Berner joined their purchasing and sales organisations in production input and grain trade under a new operating model based on partnership. Apetit Vegepops Porkkana-mango was chosen as the Finnish Food of the Year 2018 *Continuing operations include Food Solutions, Oilseed Products and the Grain Trade. &nbsp; The information has not been audited. The figures in parentheses are the equivalent figures for the same period in 2017, and the comparison period means the corresponding period in the previous year, unless otherwise stated. &nbsp; REVISED (3 August 2018) PROFIT GUIDANCE FOR 2018 The Group’s full-year operational EBIT from continuing operations is expected to fall short of the 2017 level (2017: EUR 1.3 million). Due to the seasonal nature of the Group’s operations, most of the annual profit is accrued in the second half of the year. Sales volumes and the profit outlook for 2018 are burdened by the weak harvest of 2017 and the poor harvest outlook of the current year. Juha Vanhainen, CEO: “Apetit has continued with the measures of the strategy announced in March 2018 in its focus areas, which are internationalisation, renewal and efficiency improvement. 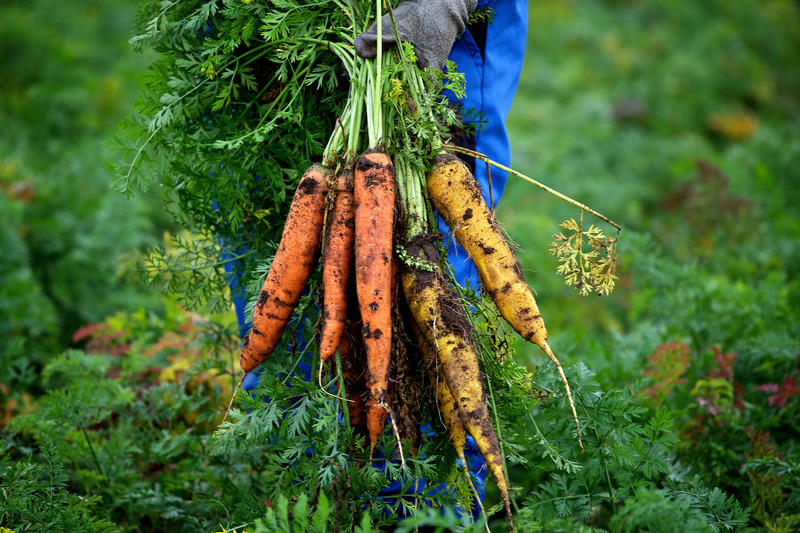 These measures reinforce Apetit’s position as number one in vegetables and help in building a foundation for the further development of the business. In June, we announced that we invest nearly EUR 10 million in a new patty and ball production line at our Säkylä plant. The new line will double our production capacity, meet current demand and enable us to produce new products for the Finnish and international markets. As a part of the project to improve efficiency, Apetit is building a bioenergy plant in conjunction with the Avena Kantvik Oy rapeseed oil milling plant in Kirkkonummi. The bioenergy plant will replace the current energy solution that uses non-renewable fuels and will significantly reduce the carbon dioxide emissions of the entire Group. Apetit participated in the share issue of the food business development company Foodwest which took place in May-June. 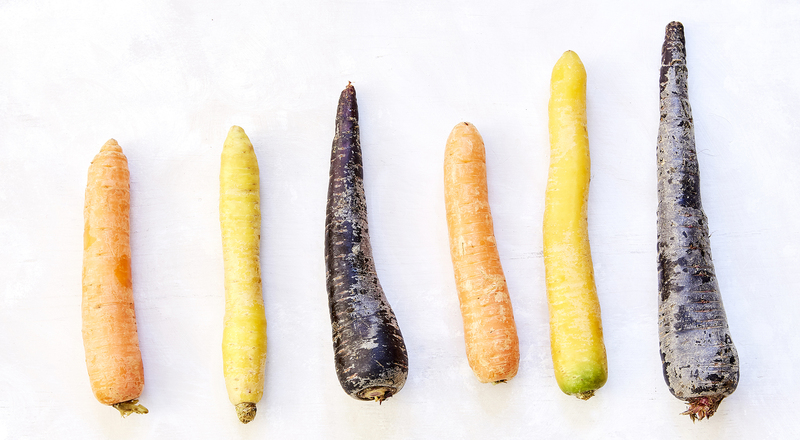 Apetit’s holding in the company will promote our strategic goals to focus on product development and to renew and lead the way in vegetable-based diets. One result of the work we have done to date is the nomination of Apetit Vegepops Porkkana-mango as the Finnish Food of the Year 2018 in May. We also continued work on a project to develop a rapeseed ingredient in order to develop a new ingredient with high nutritional content for the international food market. The goals of renewal and continuous development of operations took concrete form when Apetit’s subsidiary Avena Nordic Grain Oy and Viljelijän Berner joined their purchasing and sales organisations in production input and grain trade under a new operating model based on partnership. 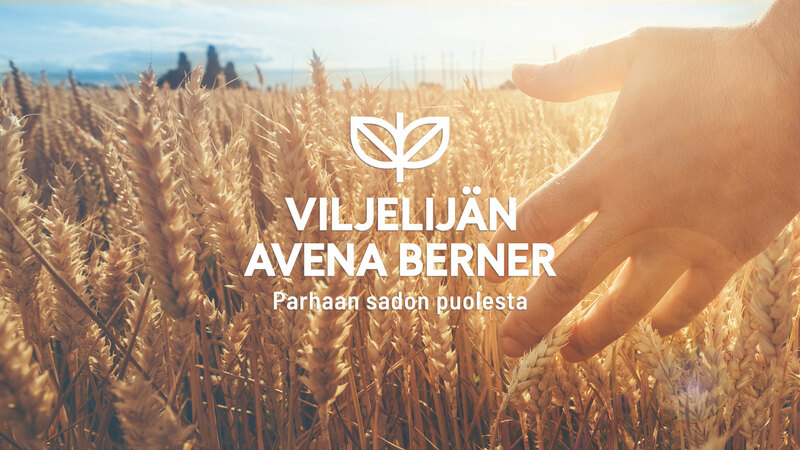 Business will be conducted under the name Viljelijän Avena Berner and it will offer Finnish farmers a one-stop-shop for production input and grain trade services. Increasing the share of food sales abroad has proceeded according to plan. At the end of August Apetit will launch a new selection for the Swedish market called Free From which includes five patty and ball products. In Russia we are continuing work on reinforcing our position through local food product chains. As expected, the aftermath of the weak harvest of 2017 continued in the first half of 2018 and substantially lowered grain trade volumes and consolidated net sales on the comparison period. The shrinking of the Sales Services network had a negative impact on the net sales of Food Solutions. Oilseed Products’ performance remained stable as volumes slightly grew on the comparison period. The low price of sugar on the global market led to a weaker result for the associated company Sucros. During the spring Apetit has carried out adjustment measures to improve profitability, including personnel reductions and other cost saving measures. Their combined impact in 2018 will be EUR 1.0 million and the annual total impact will be EUR 1.8 million. It is likely that the 2018 harvest season will also be significantly worse than average, as was the 2017 season, which will have a negative impact on the Group’s profit-earning capacity in the second half of the year. The Finnish grain harvest is estimated to be the weakest of the 21st century, which will limit trade opportunities especially in exports. The harvest of field vegetables is also likely to be lower than usual.” &nbsp; KEY FIGURES EUR million 4-6 2018 4-6 2017 Change 1-6 2018 1-6 2017 Change 2017 Continuing operations Net sales 72.8 76.8 -5% 132.5 150.8 -12% 311.8 Operational EBITDA 0.1 0.8 &nbsp; 0.1 1.2 &nbsp; 6.8 Operational EBIT -1.4 -0.5 &nbsp; -2.8 -1.5 &nbsp; 1.3 Operating profit -2.7 -0.7 &nbsp; -4.1 -1.7 &nbsp; 1.1 Share of profit of associated company Sucros -0.4 0.2 &nbsp; -0.9 -0.5 &nbsp; 1.0 Profit for the period -2.8 -0.5 &nbsp; -4.5 -2.0 &nbsp; 2.9 Earnings per share, EUR -0.45 -0.08 &nbsp; -0.72 -0.32 &nbsp; 0.46 Working capital, at end of period &nbsp; &nbsp; &nbsp; 28.5 25.3 &nbsp; 30.0 Investment &nbsp; &nbsp; &nbsp; 1.8 2.5 &nbsp; 5.2 Group (incl. discontinued operations during comparison period) &nbsp; &nbsp; &nbsp; &nbsp; &nbsp; &nbsp; &nbsp; Earnings per share, EUR -0.45 -0.27 &nbsp; -0.72 -0.56 &nbsp; -0.10 Equity per share, EUR &nbsp; &nbsp; &nbsp; 16.75 17.58 &nbsp; 18.10 Return on capital employed (ROCE), % &nbsp; &nbsp; &nbsp; 0.9% 1.9% &nbsp; 2.4% Net cash flow from operating activities &nbsp; &nbsp; &nbsp; -0.1 23.1 &nbsp; 20.0 Equity ratio &nbsp; &nbsp; &nbsp; 76.1% 71.1% &nbsp; 72.6% Gearing &nbsp; &nbsp; &nbsp; -4.7% -1.5% &nbsp; -9.6% &nbsp; NEWS CONFERENCE AND WEBCAST A news conference (in Finnish) will be held today at 10:00 a.m. at Apetit’s office, Sörnäistenkatu 1 A, Helsinki. A live webcast of the news conference can be followed via apetitgroup.fi/for-investors. The presentation material and a recording of the webcast will be available after the news conference on the company’s website. Apetit Plc Half-Year Financial Report 1 January - 30 June 2018 &nbsp; Apetit Plc For further information, please contact: Juha Vanhainen, CEO, Apetit Plc, tel. +358 10 402 2100 Apetit is number one in vegetables. It is a food industry company firmly rooted in Finnish primary production. We create well-being with vegetables by offering healthy and tasty food solutions that make daily life easier. We also produce high-quality vegetable oils and rapeseed expellers for feeding stuff, and trade grain on the international markets. 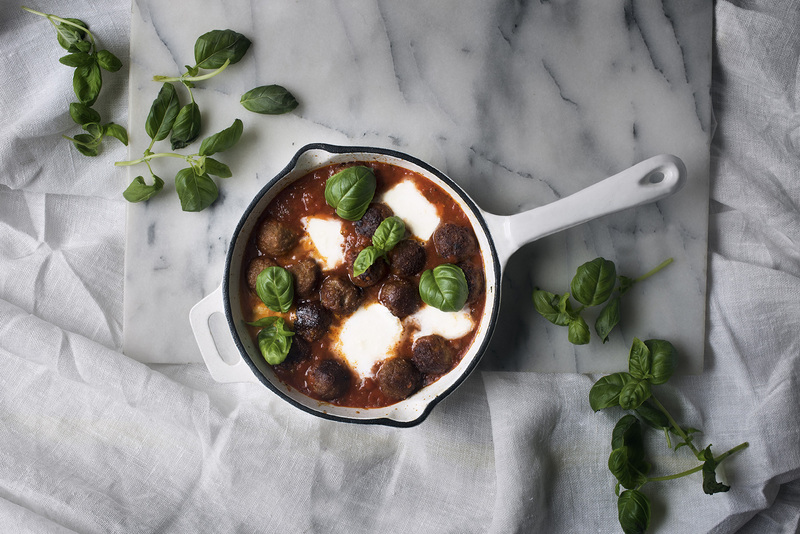 Apetit seeks to lead the way in vegetable-based food solutions. Apetit Plc’s shares are listed on Nasdaq Helsinki. In 2017, the company’s net sales were EUR 312 million and it had approximately 640 employees. Read more at apetitgroup.fi. Its focus areas are renewal, internationalisation and efficiency improvement. 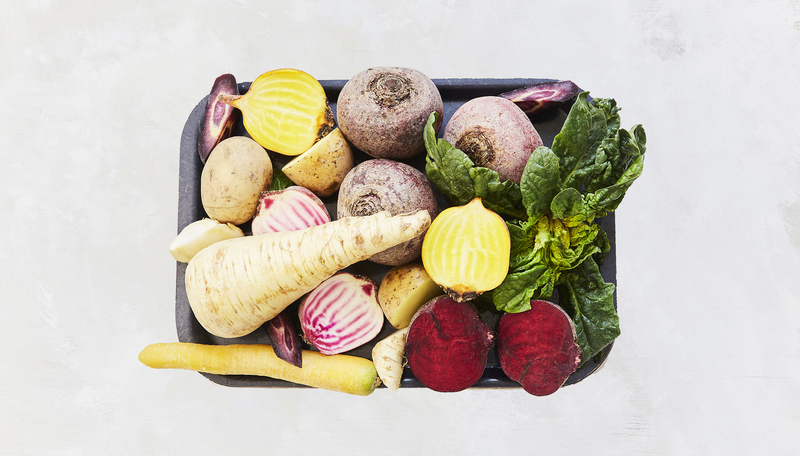 Apetit seeks to lead the way in vegetable-based food solutions and be the best-known brand specialising in vegetable-based diets in Finland. According to studies, consumers want to increase their use of vegetables, and the demand for vegetable-based proteins continues to grow strongly. Healthiness, sustainability, organic foods and well-being are also continuing to grow as trends. In addition, consumers appreciate ease of use in their hectic lives. “The trends in eating firmly support Apetit and our chosen strategy. We are continuing the work that we started in the previous strategy period to strengthen our position as the leader in vegetable-based food solutions. Thanks to our hard work, bold strategic choices and continuous renewal, Apetit is now number one in its field,” says Juha Vanhainen, CEO of Apetit. “With the vegetable trend continuing to grow, we have systematically increased our investment in research and development, which is reflected in the significant increase in the number of new products, as well as our determined expansion into new product groups. International food trade has also increased. In the strategy work that we have now completed, we have shifted our focus towards younger target groups, and we will launch new products that meet their needs and wishes.” To increase the use of vegetables among consumers, Apetit has launched the Kasvimaani.fi online service and the Njam mobile app for recipe recommendations. The company has also renewed its Avenakauppa.fi online service for growers. “We have now taken the first steps in digital services and the international food trade. Our goal is for these measures to significantly support the development of Apetit’s business operations over the long term,” says Vanhainen. Apetit’s strategic focus areas for 2018–2020 Apetit is focusing on continuous renewal by increasing product and service development and on stronger internationalisation by increasing international food trade and mapping potential areas of supply in grain trade while strengthening its presence in the Baltics as well as on efficiency improvement in all of its business operations. Apetit’s financial targets for 2020: At least to double operational EBITDA (2017: EUR 6.8 million in continuing operations) Operational return on capital employed (ROCE%) &gt; 8% (2017: 2.4%) The achievement of these strategic targets is based on customary crop development, systematic operational efficiency improvement, innovative and timely product launches and the development of international food trade. The company is open to corporate transactions that are in line with its strategy. Updated dividend policy The aim of the Board of Directors of Apetit Plc is that the company’s shares should provide shareholders with a good return on investment and retain their value. The company will distribute at least 50% of the profit for the financial year in dividends. Strategic focuses of the business areas for 2018–2020: The Food Solutions business seeks to grow profitably and more rapidly than the market in Finland. Its strategic focus areas are: The strong renewal of frozen foods and fresh products and the development of spearhead products for the international markets Supporting and increasing the consumption of vegetables among children and young people A clear improvement in profitability A sustainable value chain as a stronger competitive factor The Oilseed Products business seeks to improve profitability and create higher added value. Its strategic focus areas are: Improving the efficiency of oil milling operations Further developing the cultivation of rapeseed in Finland New innovations and their rapid commercialisation Developing self-sufficiency in vegetable-based proteins in Finland The Grain Trade business seeks to increase its trading volumes in its main areas of supply and to efficiently manage its working capital. Its strategic focus areas are: Increasing its market share in the area of supply consisting of the Baltic countries Creating strong value chain partnerships in Finland Developing the most highly advanced digital services that support logistics and the grain trade Studying potential areas of supply &nbsp; Apetit Plc Juha Vanhainen &nbsp; &nbsp; Apetit is number one in vegetables. It is a food industry company firmly rooted in Finnish primary production. We create well-being with vegetables by offering healthy and tasty food solutions that make daily life easier. We also produce high-quality vegetable oils and expeller meal from rapeseed, and trade grain on the international markets. Apetit seeks to lead the way in vegetable-based food solutions. Apetit Plc’s shares are listed on Nasdaq Helsinki. In 2017, the company’s net sales were EUR 314 million and it had 557 employees. Read more at apetitgroup.fi. "Patties and balls have been one of the most rapidly growing product group for a few years, with annual growth about 20% on the average. Prospects for continuous growth are also bright - this is supported by strong growth in consumer demand, own product development efforts and new openings in international trade," says CEO Juha Vanhainen. The new patty and ball production line doubles the production capacity and aims to meet the current demand and enables new products to be produced for domestic and international markets. In addition, it improves production efficiency in many ways. "All of our strategic focus areas, renewal, internationalization and efficiency improvement, will become visible in the investment. In addition, the investment is material locally in Säkylä and it is also a strong message on developing and further strengthening of our operations. The investment will generate work and workplaces in the production and supply chains due to increased volumes. Raw material for products are also produced ​​by local contract crowers in the area," Vanhainen continues. In the future, the investment will enable a more versatile product development in relation to e.g. product shapes, a raw material base and new flavours, and the production of entirely new types of vegetable-based products. Also, it enables better customization for different markets. “In addition to reducing carbon dioxide emissions, the bioenergy plant would also significantly lower Apetit’s current energy costs as oil milling is the Group’s most energy-intensive production process,” says CEO Juha Vanhainen. The value of the investment would be about EUR 3.7 million. The plant’s planned heat output is 4.5 MW, which would cover the energy needs of own production. A secondary boiler would also be built at the same time, to enable the use of natural gas. The bioenergy plant’s primary fuels would be forest chips and recycled wood and other fibre waste from forests and fields in the area. Apetit would also be able to use vegetable oil production side streams, such as rapeseed screenings, vegetable oil sludge and, when possible, the bentonite clay used in the rapeseed oil bleaching process, in its energy production. “The bioenergy plant would enable Apetit to utilise its production side streams. The plant’s energy self-sufficiency would increase and it would no longer be dependent on other users of its side streams. The key goal is for the bioenergy plant to be part of the plant’s circular economy and resource-smart use of raw materials,” says Vanhainen. Apetit will apply for the Ministry of Economic Affairs and Employment of Finland’s investment aid that is granted for projects based on renewable energy and will also submit an environmental permit application. Apetit will decide on the investment if both applications are accepted. Through the new operating model, the companies are able to offer Finnish farmers a domestically-owned partner in grain and oil crops trade, as well as in the use and purchase of agricultural inputs. Both companies are experts in their field and together they are able to provide Finnish farmers with even more versatile services. The establishment of the joint organisation does not include corporate transactions as, in the new operating model, the grain trade will be carried out on behalf of Avena and the input trade on behalf of Berner. The collaboration officially begins on 1 August 2018. “In the future, farmers can purchase agricultural equipment and handle grain trade with the same experts in accordance with the single-window concept. The new operating model combines strong expertise on input and grain trades. In this way, we are able to guarantee future supply of agricultural trade services based on strong expertise”, says Juha Vanhainen, the CEO of Apetit. “Both Berner and Avena are well-known experts in their main fields of activity. We want to offer this expertise to farmers to enable production of the best crops possible. We trust that the collaboration will give us the best possible conditions for building a reputation among Finnish farmers as a professional and reliable operator”, continues Antti Korpiniemi, the CEO of Berner. Both companies will continue their business activities according to their strategies. Avena is part of Apetit Group and Berner will continue as a Finnish family business. The merged organization comprises 30 experts in the agricultural and grain trade as well as 10 experts in the professional gardening trade. Nation-wide business will operate through many local offices and reception points. Farmer's Avena Berner’s ambition is to be the farmer’s best partner in Finland with an agile and efficient operating model. The extensive selection includes, e.g. seeds, plant protection agents, fertilizers and fuels as well as new services for measurement of agricultural operations and the quality of crops. The wide network of reception points provides good and reliable delivery points for grain and oil crops.